Detoxing From Opiods Without Medical Support Often Fails : Shots - Health News Treatment for opioid addiction can be expensive and difficult to coordinate. That might make some people tempted to think they can overcome the addiction on their own. This rarely works. "The symptoms are horrific," Rosado says. There are recovery and treatment centers that can help people quit using drugs — in fact, it's a multi-billion-dollar industry. But this help can be expensive, and waiting lists for state and city-funded programs are often extremely long. So can detoxing on your own be the solution? In most cases, the answer is no. In fact, a growing movement within the field of addiction medicine is challenging the entire notion of detox and the assumption that when people cleanse themselves of chemicals, they're on the road to recovery. "That's a really pernicious myth, and it has erroneous implications," says Dr. Frederic Baurer, president of the Pennsylvania Society of Addiction Medicine. But at the time, Rosado says, he needed to end his "longtime love affair" with codeine. Like Oxycontin and morphine, it's an opioid. In jail, these drugs were easily available, Rosado recalls, through friends and cell mates. When he decided to stop, he didn't ask for help from the jail's clinic staff, who could have given him medicine for the withdrawal symptoms. Rosado says that, if he took anything, "in my head I was like, 'I'm still using.' That's how I was seeing it." The first few hours were gradual, like the onset of the flu, he recalls. But then he started sweating and shaking, his heart raced and he started throwing up. About 12 hours in, Rosado says he was reminiscing about how pleasant food poisoning was compared to this. He says his stomach cramps felt like, "having Freddy Krueger inside you trying to rip his way out." Rosado couldn't sleep; he lay on the cold floor, shivering. "I had days where I felt like I wished I was dead," he says. "My cellmate kept saying 'Look at you! Use a bag or go to the nurse.' "
Over the next week the intense symptoms slowly subsided. He was exhausted, depressed, irritable and sore. Elvis Rosado detoxed on his own and was successful. Researchers say stories like his are rare. Then came the next phase: the temptation to slide back. "It's a battle," Rosado says. He remembers a voice in his head telling him it would be so much easier to give in. "Take something, take a little bit," he remembers the voice saying. Most people can't tolerate detoxing from opioids without support or medications to ease the withdrawal symptoms, says Dr. Kyle Kampman, a psychiatrist who specializes in addiction at the University of Pennsylvania. Diarrhea and vomiting from withdrawal can make a person dehydrated, and that can lead to severe complications, even death in some cases. And Kampman worries about the big risks of patients trying to self-medicate to avoid these side effects or drug cravings. "If you're going to use the medications that a doctor would use to do detoxification, which might be methadone or buprenorphine, or even a blood pressure medicine like clonidine or sedatives, all those medications are dangerous," says Kampman. They can have adverse interactions with other drugs, and in the case of methadone, he says there is a possibility that a person could overdose without physician oversight. But Kampman's biggest concern when it comes to detoxing is the extremely low success rate. "What bothers me most in thinking detox is adequate treatment is that we know that it just doesn't work," he says. 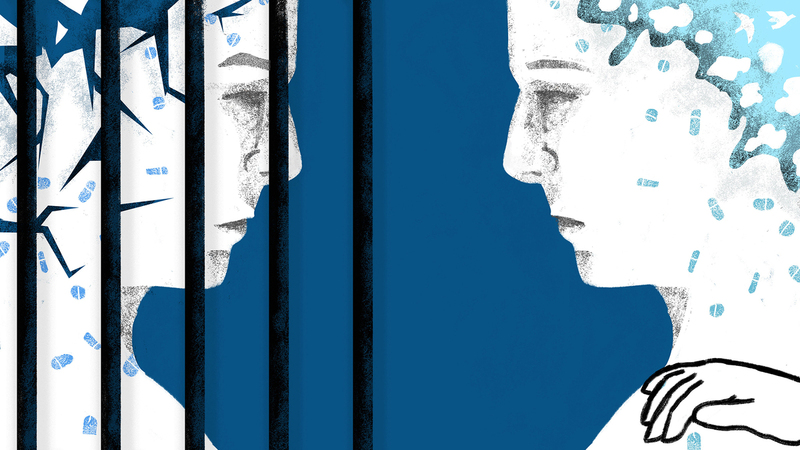 "We have a long history of putting people into detox, followed by drug-free treatment that results in relapse in an overwhelming number of cases." And if the patient goes back to using, there's a higher risk of overdose because their tolerance has gone down. Addiction, Kampman says, isn't something you can just flush out of your body. It's a disease. When people addicted to opioids first quit, they undergo withdrawal symptoms, which may be severe (pain, diarrhea, nausea, vomiting, hypertension, tachycardia, seizures.) Medications can be helpful in this detoxification stage, easing craving and other physical symptoms that can often trigger a relapse episode. However, this is just the first step in treatment. Medications have also become an essential component of an ongoing treatment plan, enabling opioid-addicted persons to regain control of their health and their lives. Dr. Frederic Baurer goes further, and suggests it's best to abandon the whole notion of detox, period. "I think the term detox has negative connotations," said Baurer, who has been treating people with addiction for nearly three decades. He's also been involved in a city-wide task force assessing the opioid epidemic in the region. He says the focus should be on a stabilizing treatment plan, not on detox. Baurer is medical director at Kirkbride Center in Philadelphia, a recovery center that has an in-house detox unit of 21 beds. But, according to Baurer, the unit does a lot more than getting drugs out of a person's system. "It's structured," he says. Patients have reflection time. Their symptoms are monitored. They meet with counselors, come up with a long-term treatment plan, and, perhaps most importantly, they get medications like methadone to manage cravings. Some of the medications target the same receptors in the brain as other opioids, but they do it for a longer period of time, which reduces symptoms. Another option, Vivitrol, blocks opioid receptors, which inhibits the person's ability to get high. Baurer says there's no one formula. "We have to consider all the tools that are out there to support someone in getting well," he says. Elvis Rosado said he first developed his coping tools in jail. The bars protected him from the temptations of his old neighborhood and he found support groups and counseling. Still, he may be one of the few who tried detoxing on his own and succeeded. Since his release from jail, Rosado has gotten degrees in mental health and social services, and worked in treatment centers. 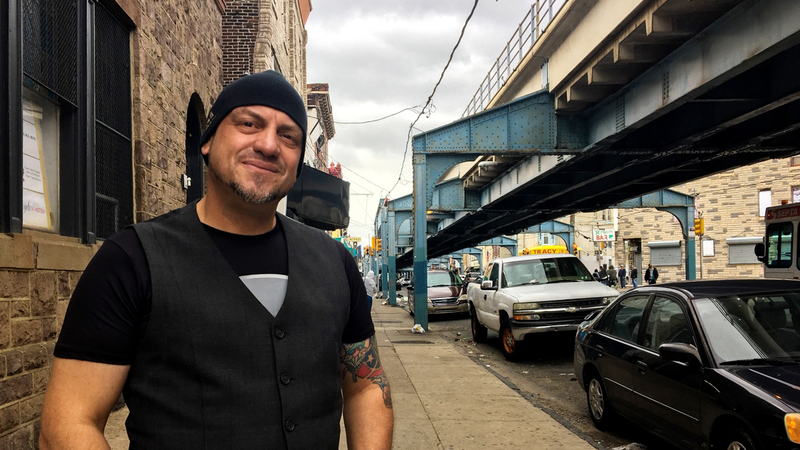 He now leads overdose prevention efforts for Prevention Point Philadelphia, a nonprofit organization that provides prevention services across the region. Rosado doesn't think his detox approach is for everyone. "If we don't give individuals the time to start to have clear thoughts and put a plan together, getting the chemical out of their system --- you're not doing them any favors," he says. Rosado also credits his own long-term success to a very specific conversation he had while he was still locked up. It came during a phone call with his girlfriend. "She goes, 'I'm pregnant, what are we going to do about it?' And I said, 'We keep it. We keep the baby.' "
He recalls making a promise to himself in that moment to be a good father. And for him, at least, that worked. But, he says, his cellmate back in jail tried kicking the habit, too, and within months of being released, he relapsed and died of an overdose.